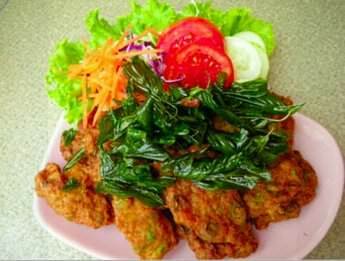 Here's a Thai recipe you thought you had to go to Thailand to enjoy, not seen in local restaurants. We show how to fold the leaves, steam and cook the chicken, and the succulent dipping sauce. Another awesome, authentic Thai recipe feature from ImportFood.com. You may be able to get fresh pandan leaves from your local asian market, or order from us if you allow some lead-time to prepare the order because we have them on an infrequent basis. 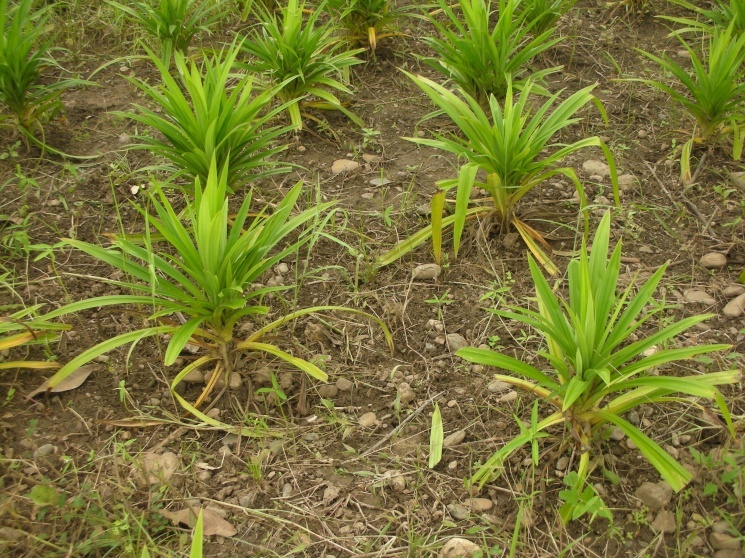 Cut off the root of pandan leaves and clean off the dirt, set aside to dry. In mortar and pestle add coriander root, garlic and Thai pepper powder, pound until becomes fine paste. Put chicken in large mixing bowl, add garlic mixture, soy sauce, oyster sauce, sesame oil and whiskey, mix well then marinade for 2 hours. 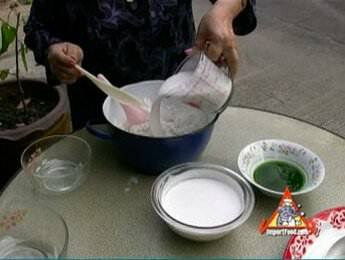 Wrap each piece of marinaded chicken with pandan leaf using the video at left as a guide. Make sure each piece of chicken is completely covered. Lay each bundle of pandan chicken into the stacked steadmer. Steam the chicken over boiling water for 10 minutes. While chicken is steaming, make the dipping sauce. In a small sauce pan, add water, sugar, thin soy sauce, black soy sauce and salt. Stir until the sugar dissolves. Set aside to cool. 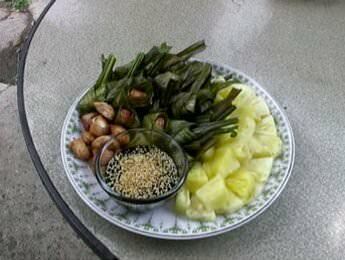 Remove the sauce to serving bowl, top with toasted sesame seeds. After chicken is steamed, fry chicken in oil on medium heat until cooked through. Serve with sauce and fresh pineapple. Enjoy! I want the plant of the panda tree where can I get it?